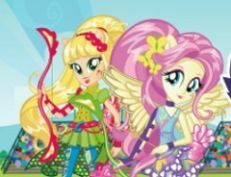 We are back with a new and beautiful online game, a new game in which we are sure that you will have alot of fun playing with us and some of your favourite characters. 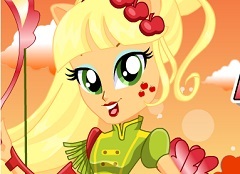 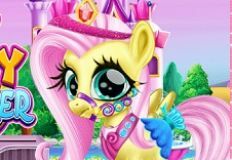 This new game that we have for you next is a very beautiful online game in which the main character is Fluttershy from the My Little Pony Equestria Girls serie. 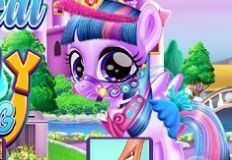 The game is a beautiful creativity game in which your friend wants you to join her and help her find the right outfit that fits her moto style. 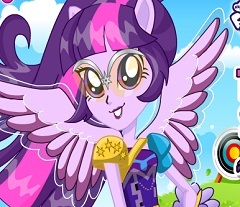 Now is the hobby week in Equestria and your friend has to pun on the best outfit in order to look outstunning. 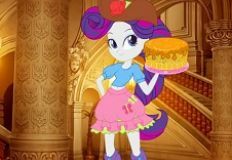 We invite you to take a close look at first at the wardrobe she has and to make different combination until you get to the one that makes you say wow. 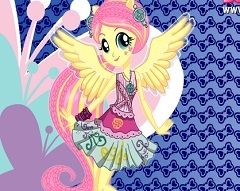 After that you need to choose a fitting hairstyle and some accesories. 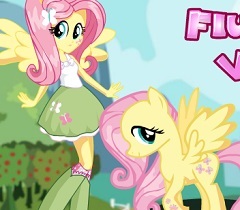 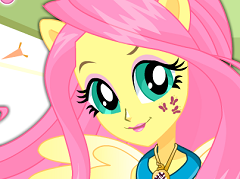 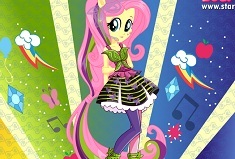 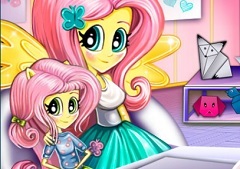 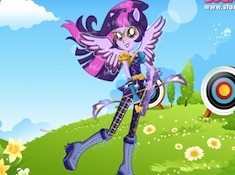 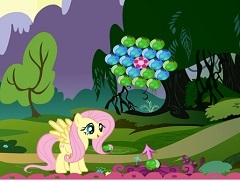 Come and join us for this new game that w ehave for you and have fun with your friend Fluttershy, here on games-kids.com!